APA-Abuja (Nigeria) — The West Africa Agricultural Productivity Programme (WAAPP) has distributed 36 million improved fingerlings (potatoes) to farmers across the country in the last three years‎. 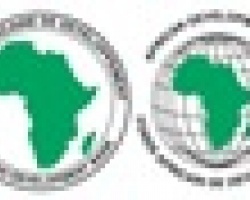 APA-Ouagadougou (Burkina Faso) — The African Development Bank (AfDB) has approved two donations totaling CFA 1.2 billion francs for Burkina Faso meant for the country’s agricultural and hydraulic sectors, APA learned from the ministry of Economy and Finance on Monday. APA-Maputo (Mozambique) — The Nampula provincial delegate of Mozambique's National Cashew Institute (INAJU), Jaime Chissico has disclosed that his department sprayed 2.5 million cashew trees against mildew and other pests in the northern Mozambican province of Nampula, in the current campaign, APA can report on Sunday. APA-Harare (Zimbabwe) — A white Zimbabwean farmer has been sentenced to a year in prison or a $600 fine for allegedly refusing to vacate land allocated to a traditional leader nearly 16 years ago, according to media reports monitored here on Wednesday. APA-Maputo (Mozambique) — The Mozambican government plans to invest about US$20 million into a research project to improve the production of rice, maize and wheat, an official said on Wednesday.